BELIZE CITY, Tues. Mar. 31, 2015–Last night at about 7:30, a man who was walking in the dangerous Berkeley Street area, in Belize City’s south side, lost his life to the seemingly never-ending gun violence in the city. 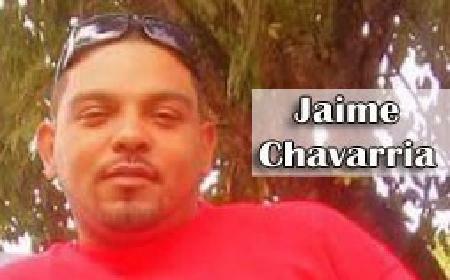 Jaime Chavarria, 25, originally of Ladyville, but who lived in the West Canal Street area of Belize City, was shot multiple times by unknown gunmen. Police report that Chavarria was walking through a dark pathway, which is a shortcut from the canal side to Berkeley Street. The pathway passes through an incomplete 2-storey concrete structure. When Chavarria passed through the incomplete structure, unknown gunmen fired about three shots at him. Police found Chavarria lying on the ground under the concrete structure in the alley. He had been shot in the head and the eye, and also in the upper chest and upper back, they said. Chavarria was taken to the Karl Heusner Memorial Hospital, where he was pronounced dead on arrival at about 9:00 p.m.
Police say they are looking for a man who is known to them, who they believe can help with the investigation. A few residents of the area told Amandala that they were at home last night a little after 7:00 when they heard gunshots. One resident said that he first heard one shot, and when he was about to go outside his home to see what had happened, he heard two more shots. He then ran back in his house, and then there was silence. Shortly after, he got a message that someone had been shot in his area, but by that time police had already arrived on the scene. The resident then went out and saw Chavarria lying on the ground. The residents of the area said that no one in the area saw or heard anyone running out of the alley after the shooting, and they believe that the unknown gunman escaped out of the area through the rear. They also believe that since Chavarria frequently walked through the pathway, the killer had waited for him. However, this was not the first time that attempts were made to kill Chavarria. Police said that at about 12:06 on Saturday morning, March 1, an unknown gunman came from out of Rocky Road into West Street and fired at Chavarria, hitting him in the chest and left hand as he was getting out of his car in front of his house on West Canal. The gunman fired seven shots at him and then escaped out of the area. Chavarria was rushed to the Karl Heusner Memorial Hospital, where he was admitted in a critical condition. Superintendent Hilberto Romero said that they investigated the attempted murder and recorded a statement from Chavarria, but the gunman involved in that incident has not yet been found. Superintendent Romero said that Chavarria was known to police and had been investigated in connection with several crimes, including murder. According to the Amandala of June 9, 2009, Jaime Chavarria walked out of the Supreme Court, freed of a double murder charge that had been hanging over his head for the March 2007 murders of Kevia Leslie, 24, and Dorian Michael, 32. Chavarria was freed after Crown Counsel Trienia Young entered a nolle prosequi in the Supreme Court of Justice Adolph Lucas. She did not elaborate on why the nolle prosequi was entered. Police reported that around 11:30 on the night of March 25, 2007, Michael and Leslie were abducted from a gas station on Freetown Road. The men were reportedly taken in a van that Michael was driving, and were ordered to drive to a feeder road near the Haulover Bridge, where they were executed. A police investigation led to Chavarria and two others. Police also reported that Chavarria was one of three men who, in 2010, were arrested and charged with conspiracy to commit burglary, aggravated burglary, keeping a firearm and ammunition without a gun license, and handling stolen goods. Chavarria was captured by police as he stood at the corner of the Northern Highway and the entrance to Lords Bank. He was also found with a stolen Samsung cell phone valued at one thousand dollars. Police reported that he and three others went into the home of a woman and her family, held them up at gunpoint and demanded money. The woman told police that one of the men pointed a gun at her niece’s head and another held a knife at her sister’s throat. The armed assailants then ransacked the home, grabbing an assortment of items that totaled $12,750 in value. The men then left with the stolen jewelry, cellphones, a laptop computer and $561 in cash. Ladyville police quickly responded to the violent home invasion and launched a quick investigation, which led to the arrest of Jaime Chavarria and three other men. Police also recovered the pistol from the suspect who allegedly held a gun to the head of one of the victims. Several of the stolen items were also recovered.